I’ve noticed over the years that our clients tend to purchase Saturn gemstones for one of two reasons: some wish to strengthen the presence of Saturn in their lives and some wish to appease or minimize Saturn’s difficult and heavy influence over them. If it’s appropriate and beneficial to do so, I like to offer the following advice. When buying a blue sapphire, or any pure and powerful astrological gemstone for that matter, remember that the stone is going to dramatically amplify the energy of its corresponding planet. This means that a blue sapphire should only be worn if a significant increase in Saturn energy is desired. This can be a very good thing for the right people. Saturn is, in my opinion, one of the most misunderstood planets in Jyotish. Many people fear their Saturn mahadasha, or their Sade Sati period (the 7-year transit of Saturn passing over the Moon in one’s natal chart) because Saturn has a reputation of being a very challenging planet to deal with. Hard work, obstacles, delays, and chronic exhaustion can occur when Saturn is behaving prominently. However, the less we resist the lessons Saturn is attempting to teach us, the less troublesome Saturn becomes in our lives. I like to think of it as “resistance training.” Learning to stay focused and productive when endurance is required, developing new skills to tackle obstacles as they arise, exercising long-term patience, and remaining honest with oneself and with others ultimately turns Saturn into an ally. One’s greatest efforts will be generously rewarded in due time. Saturn is very serious in demeanor but it also represents some of the highest qualities of humanity. Spiritual regimen, strict routines, self-discipline, and solid work ethic are all positive characteristics of Saturn. These are the qualities that are commonly enhanced when a blue sapphire is worn – however, it’s important to determine if Saturn is a functional benefic or malefic planet in the Jyotish chart before investing in a blue sapphire. Capricorn ascendants tend to do really well with blue sapphires. Taurus ascendants do too. Libra, Gemini, and Aquarius ascendants do best with lighter or smaller blue sapphires, as air signs frequently benefit from a gentle dose of grounding energy without too much heaviness attached to it. Virgo ascendants report some negative side effects when wearing blue sapphires, which is why I personally no longer recommend Saturn stones for them. For all other ascendants, caution should be exercised with blue sapphires. Fire and water signs (Aries, Leo, Sagittarius, Cancer, Scorpio, and Pisces ascendants) should generally not wear blue sapphires, even during a Saturn mahadasha. If it’s not safe or appropriate to wear a blue sapphire, meditating regularly and reciting Saturn mantras are useful tools to help appease this cold and steely planet. A potent Vedic gemstone is like potent medicine, and should always be prescribed with care. If it is determined that Saturn is a safe and auspicious planet to strengthen, a blue sapphire can provide wonderful benefits. A calm, cool, collected, grounding effect is often reported from our clients who purchase one. Maximizing Saturn’s influence can help with focus, endurance, and completing challenging tasks. It can help with long-term gains in income and business success. It can even increase interest and devotion to a spiritual regimen, bringing about greater and deeper fulfillment in one’s practice. When investing in a blue sapphire for Vedic astrology, a blue sapphire must never be heat-treated. It should be a vibrant and pleasing color, not so dark that it appears black in certain lighting conditions. 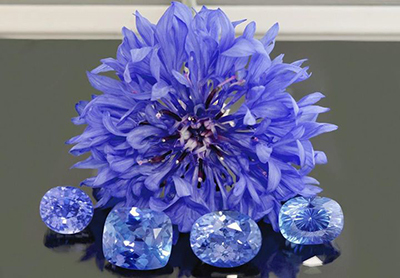 The industry refers to the ideal sapphire color as “cornflower blue,” which is a nice rich dusty blue with violet undertones. 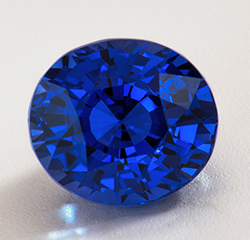 Most top-quality sapphires come from Sri Lanka. Top Kashmir and Burmese sapphires are an intense vivid electric blue. These are very rare, and very powerful for Jyotish. They command a significantly higher price on the market, but are an optimal choice if one’s budget allows this investment to be made comfortably. If setting a blue sapphire into jewelry, it should be worn in a cool metal. Silver is ideal, though white gold is acceptable. Platinum is also a good option. Saturn gems are worn on the middle finger, though pendants also produce excellent results. As always, Jyotish gemstones should be set to lightly touch the skin. At Astrological Gem, we specialize in carrying pure, sweet, potent blue sapphires for Jyotish. You can find photos and prices of our sapphire collection here. sir, which Gemstone is General use . There are not too many stones that are good for general use, but you could try a Navaratna, which has all 9 gems in a talisman, as this is said to help with balance in general. A gentle stone such as citrine may also work for many people, but whenever possible, we strongly suggest confirming which gem you should wear to be safe. thanks for sharing this information. this information such as a very nice and good blog. Hi Tiffany, lovely article in particular and great writing in general. Question, if a natural malefic like Saturn, has lordship over 8th and 9th house and placed in the 3rd, can its stone be safe. Let’s sat 22.03.1078. 12.30pm. Kolkata, India. Gemini ascendant. Greetings! Yes, it’s likely safe, as long as you are aware of the qualities Saturn strengthens and are consciously looking to increase those qualities in your life. Make sure the stone is eye-flawless and untreated. Next Post Size doesn’t matter as much as you think it does.